Mathematics is a creative and highly inter-connected discipline that has been developed over centuries, providing the solution to some of history’s most intriguing problems. It is essential to everyday life, critical to science, technology and engineering, and necessary for financial literacy and most forms of employment. can solve problems by applying their mathematics to a variety of routine and non-routine problems with increasing sophistication, including b breaking down problems into a series of simpler steps and persevering in seeking solutions. Mathematics is an interconnected subject in which pupils need to be able to move fluently between representations of mathematical ideas. The programmes of study are, by necessity, organised into apparently distinct domains, but pupils should make rich connections across mathematical ideas to develop fluency, mathematical reasoning and competence in solving increasingly sophisticated problems. The expectation is that the majority of pupils will move through the programmes of study at broadly the same pace. However, decisions about when to progress should always be based on the security of pupils’ understanding and their readiness to progress to the next stage. Pupils who grasp concepts rapidly should be challenged through being offered rich and sophisticated problems before any acceleration through new content. Those who are not sufficiently fluent with earlier material should consolidate their understanding, including through additional practice, before moving on. The Reception class follows the Early Years Foundation stage curriculum. Numeracy work is related to the objectives set out in the practice guidance working towards Early Learning Goals (ELG) which underpin the curriculum planning for children aged three to five. The principal focus of mathematics teaching in key stage 1 is to ensure that pupils develop confidence and mental fluency with whole numbers, counting and place value. This will involve working with numerals, words and the 4 operations, including the use of practical resources (for example, concrete objects and measuring tools.) At this stage, pupils should develop their ability to recognise, describe, draw, compare and sort different shapes and use the related vocabulary. Teaching will also involve using a range of measures to describe and compare different quantities such as length, mass, capacity/volume, time and money. An emphasis on practice at this early stage will aid fluency. The principal focus of mathematics teaching in lower key stage 2 is to ensure that pupils become increasingly fluent with whole numbers and the 4 operations, including number facts and the concept of place value. This will ensure that pupils develop efficient written and mental methods and perform calculations accurately with increasingly large whole numbers. At this stage, pupils will develop their ability to solve a range of problems, including some with simple fractions and decimal place value. Teaching will also ensure that pupils draw with increasing accuracy and develop mathematical reasoning so they can analyse shapes and their properties, and confidently describe the relationships between them. It will ensure that they can use measuring instruments with accuracy and make connections between measure and number. The principal focus of mathematics teaching in upper key stage 2 is to ensure that pupils extend their understanding of the number system and place value to include larger integers. This will develop the connections that pupils make between multiplication and division with fractions, decimals, percentages and ratio. 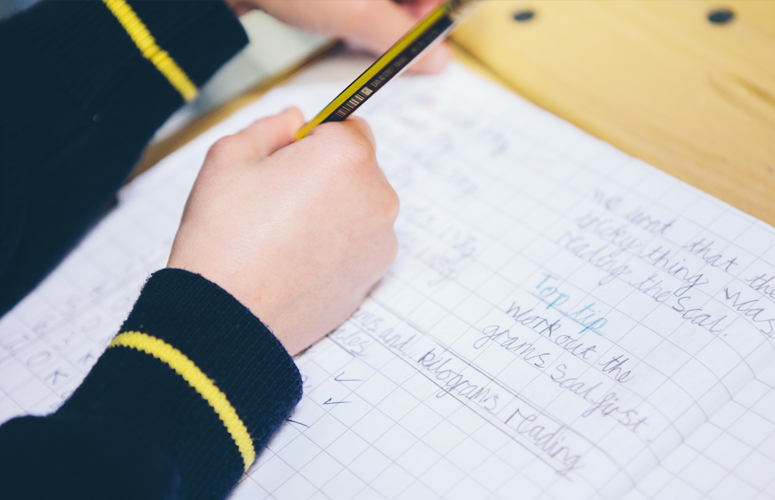 At this stage, pupils will develop their ability to solve a wider range of problems, including increasingly complex properties of numbers and arithmetic, and problems demanding efficient written and mental methods of calculation. With this foundation in arithmetic, pupils are introduced to the language of algebra as a means for solving a variety of problems. Teaching in geometry and measures will consolidate and extend knowledge developed in number. Teaching will also ensure that pupils classify shapes with increasingly complex geometric properties and that they learn the vocabulary they need to describe them.